Japan: ? 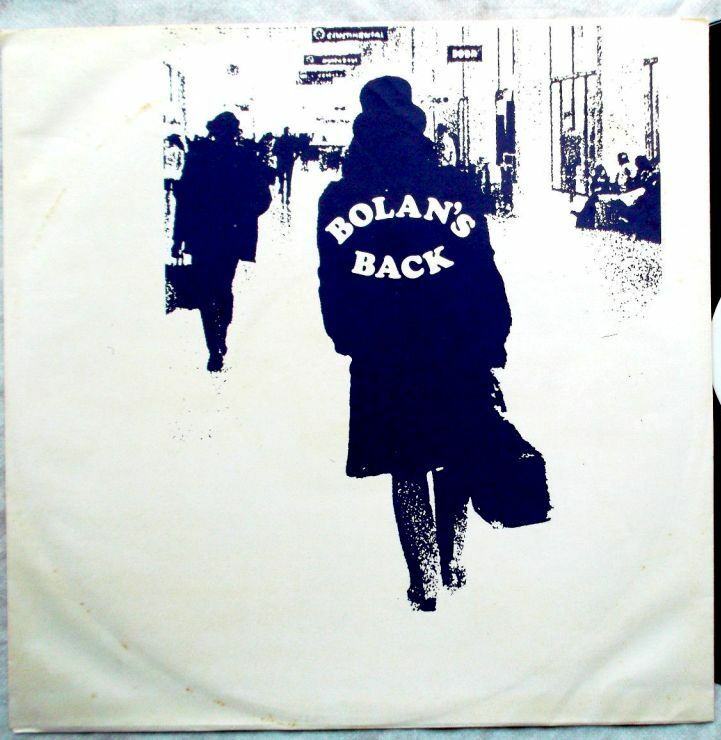 Perhaps early 1980’s based on the cover design (which in HOTWACKS is described as “brown”). 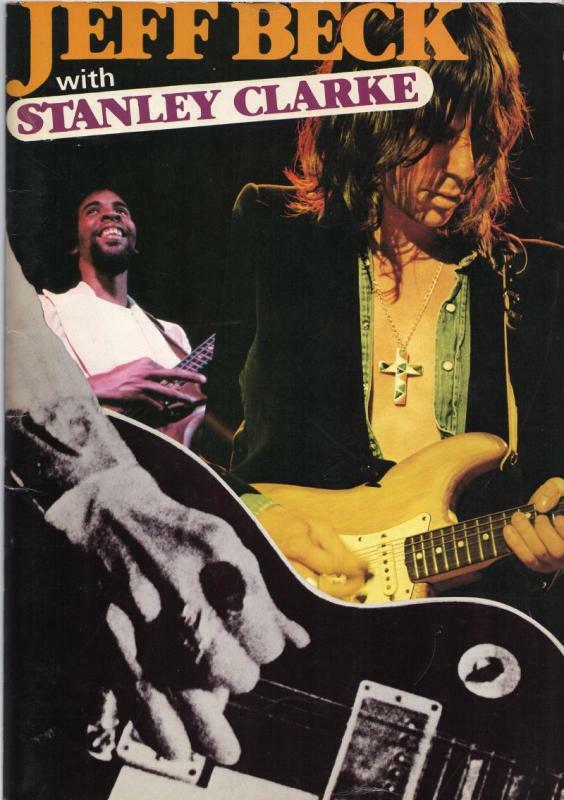 “Jeff Beck ended his short tour of Japan with Stanley Clarke with three shows at the Budokan in Tokyo on November 30th, December 1st and December 2nd. 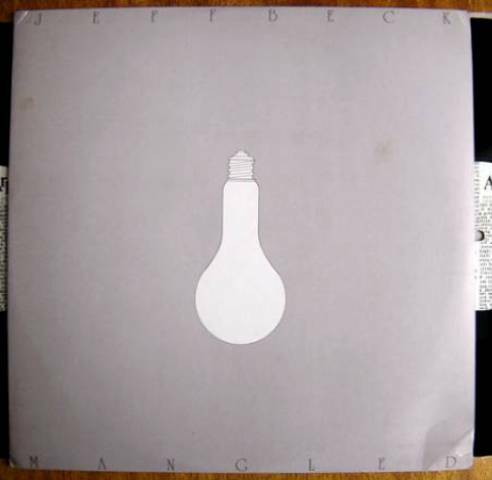 The first night has been circulating on a good audience tape released on Live Superstition (Off Beat XXCD-10), a one disc edit with seven songs from the show, and Lost Beck Tapes Vol. 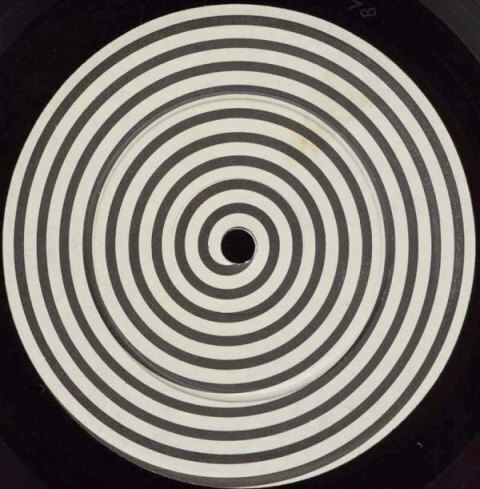 7 (Sinsemilla) with the complete show on CDR. 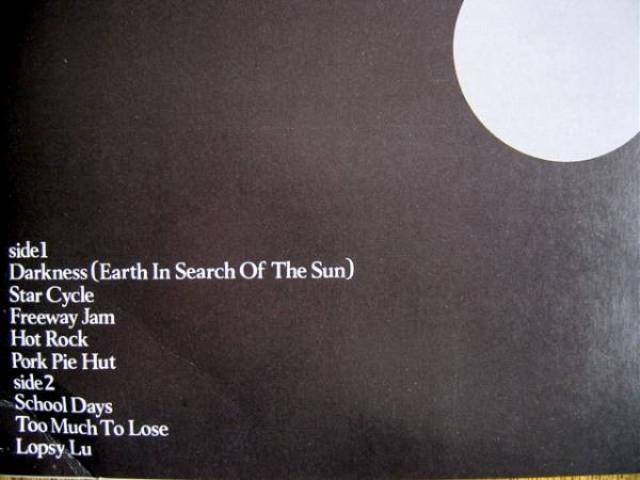 The set for this short partnership is a strange mixture of the Jan Hammer Group tour setlist with a couple of Clarke tunes thrown in for good measure. It starts off with the same Hammer written tone poem “Darkness” as a prelude to the brand new “Star Cycle,” also written by Hammer. Beck identifies it as a song that will be on the new album coming out in the following year. “Freeway Jam” sees Beck almost lost control in the middle and giving the lead to Clarke. “It gives me great pleasure to be back here at the Budokan. Thank you for coming to see us” Beck tells the audience before “Goodbye Pork Pie Hat.” It had been more than five years since he played in Tokyo when he visited with Beck, Bogert & Appice in 1973. 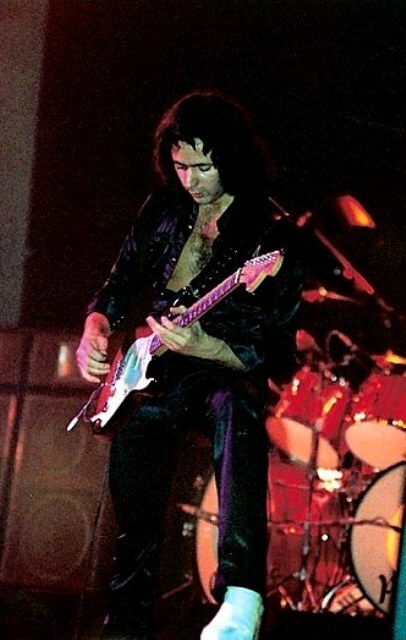 Clarke has his first spotlight during “School Days.” The short bass solo gives opportunity for the audience to clap along and join in the journey before Beck comes in with the melody, stretching the piece over ten minutes long. Beck tells the audience how honored he is to be playing with Clarke and to be playing for them before an amazing version of “Blue Wind” closes the show. 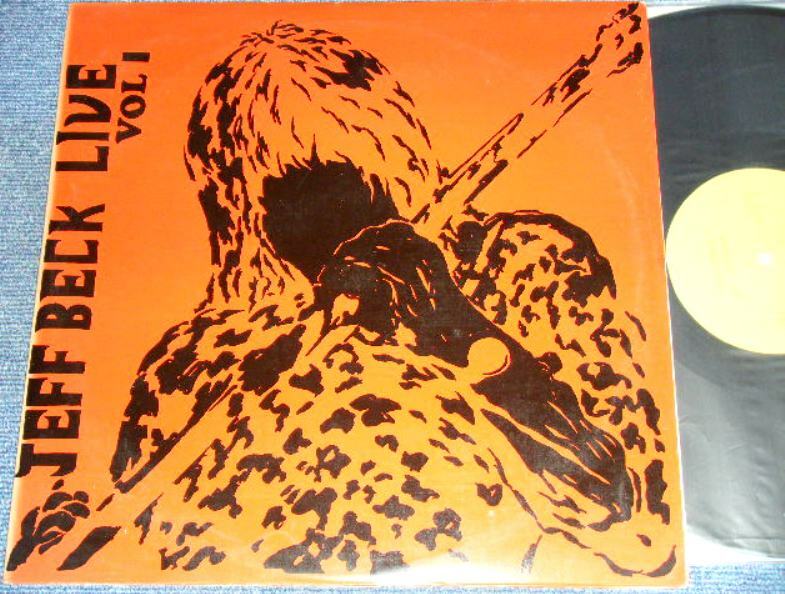 Definitely a jazz bootleg, you can add “rock” to it but it makes as much difference as adding a sprinkle of nuts and raisins to a liver dish. 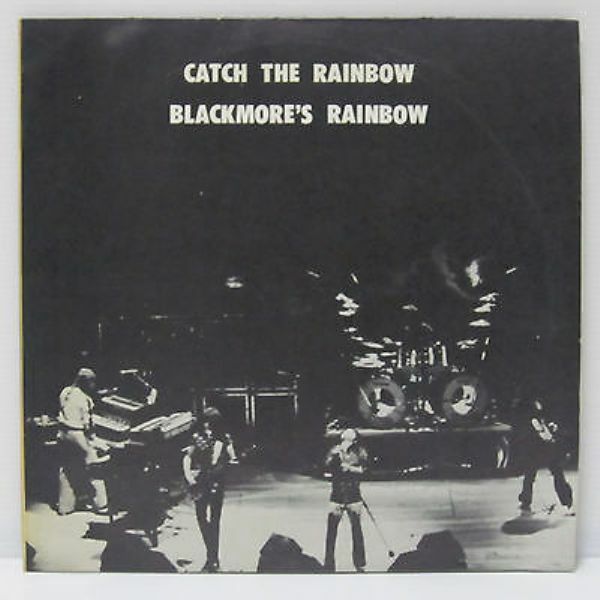 Rainbow played two nights at the Liverpool Empire as part of their fall UK tour in 1977. 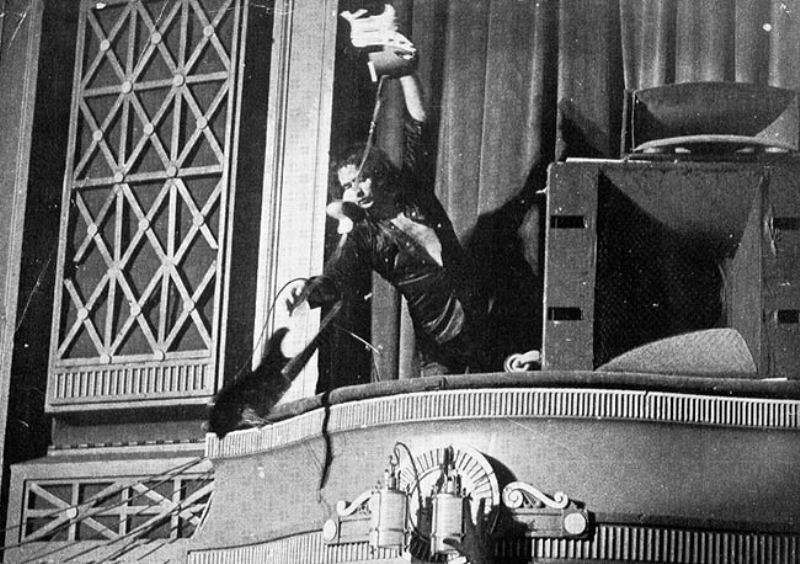 On the last night, Ritchie caused some damage to the old theater’s plaster work when he smashed his guitar at the end and as a consequence he and the band were banned from all future appearances at the venue, which also decided to limit the number of rockconcerts they would allow. 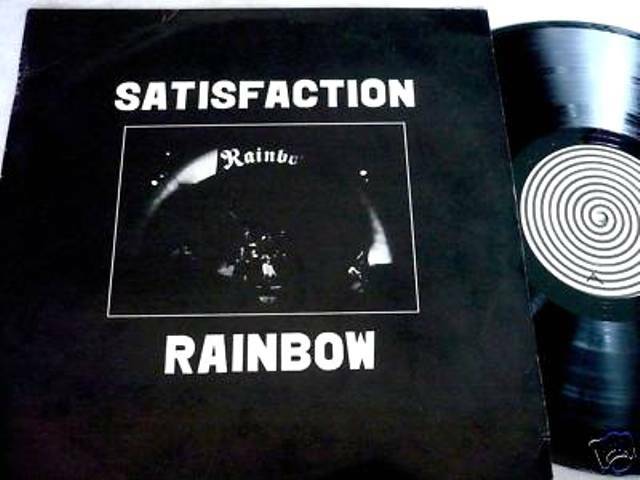 The only vinyl bootleg to be released from Rainbow’s extensive second Japan tour, recorded at Osaka’s Koseinenkin-Kaikan on 16 January, 1978. 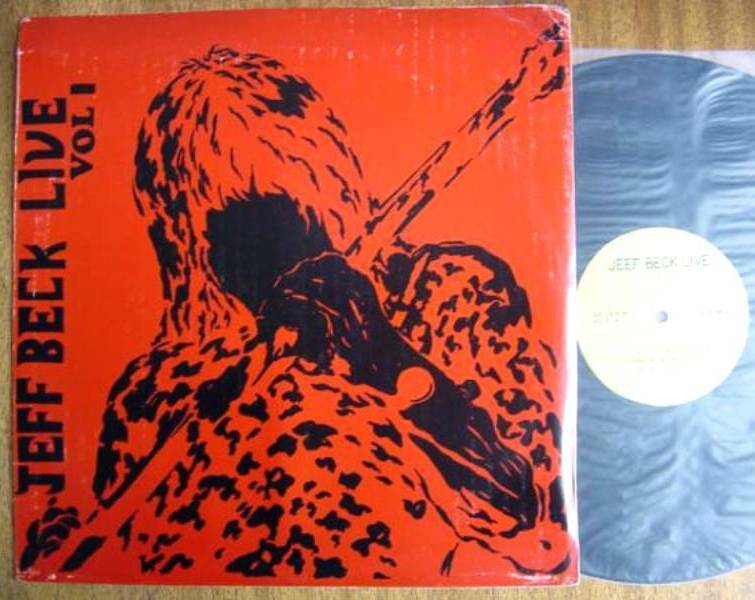 The usual limited pressing run for Japanese made product have always made this LP a very hard to find collector’s item. 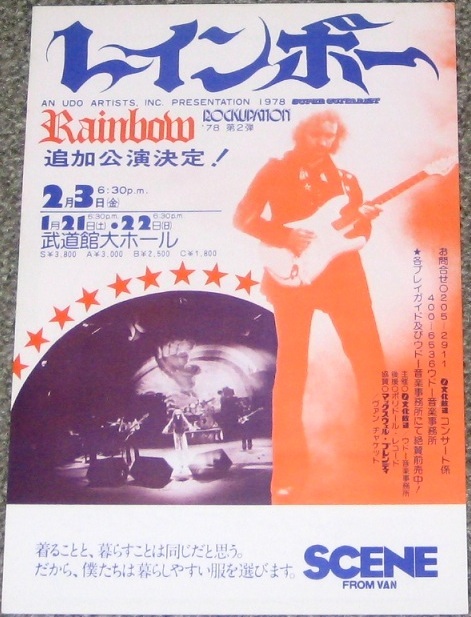 A handbill for the Tokyo concerts. 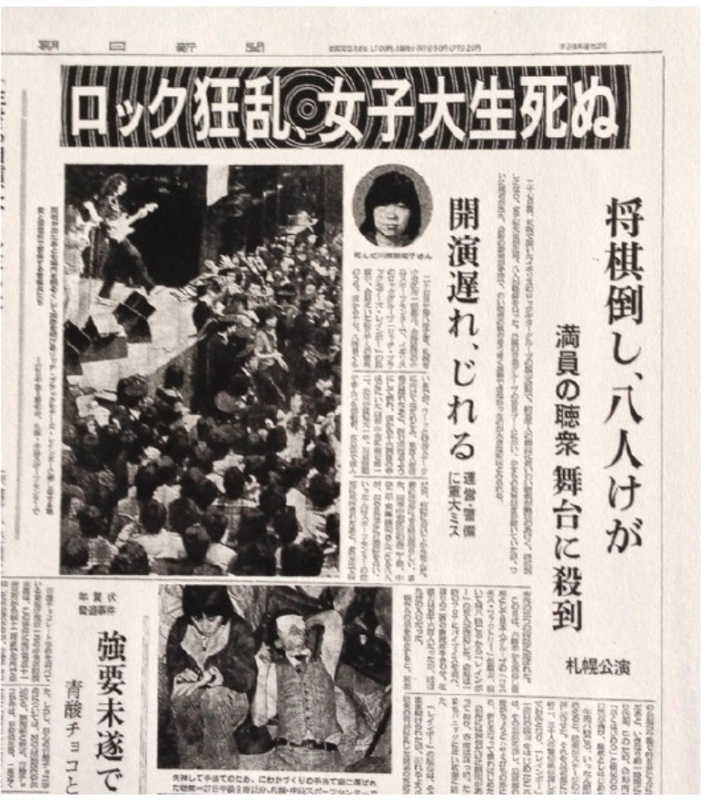 Newspaper report about the crowd disturbance before the encore and fatality at the Sapporo show on 27 January ’78. Is the title satire? 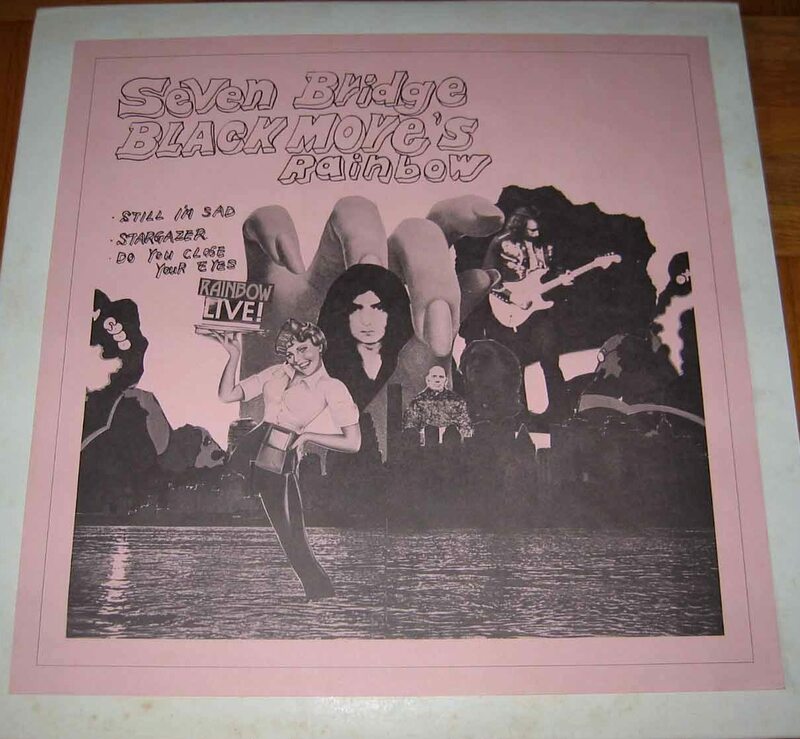 Or was there a phase in Japanese bootlegging around this time where the rudest ones imaginable were picked (see the Bay City Rollers bootlegs recently presented)? It seems that the green version is the first issue (the red version can be picked up for cheap these days). All came with blank white labels. 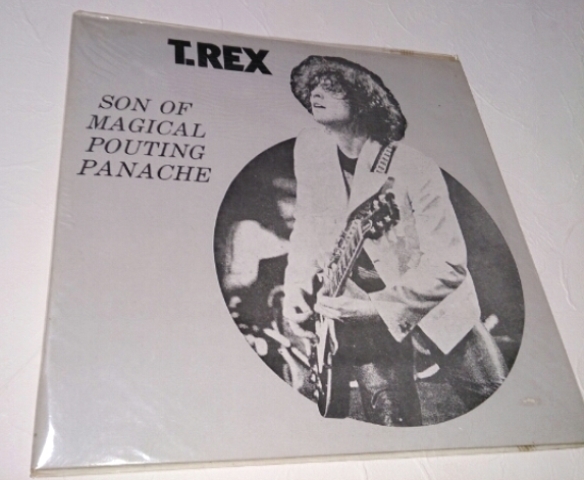 The majority of this album comes from the German Rockpalast TV show recorded live at Munich, Germany’s Olymbiahalle on 20 October 1977. This was officially released in 2006. 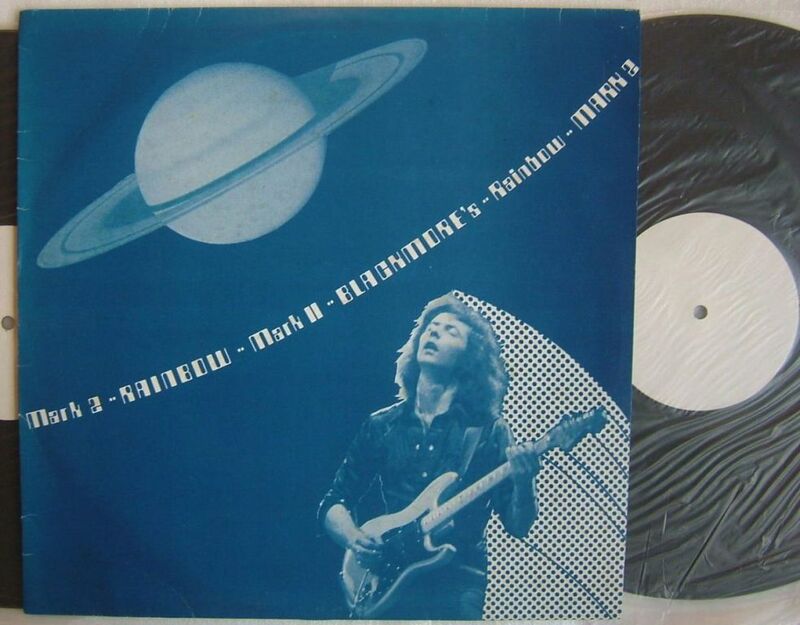 ‘Stargazer’ is an audience recording from Tokyo’s Budokan on 06 December 1976. 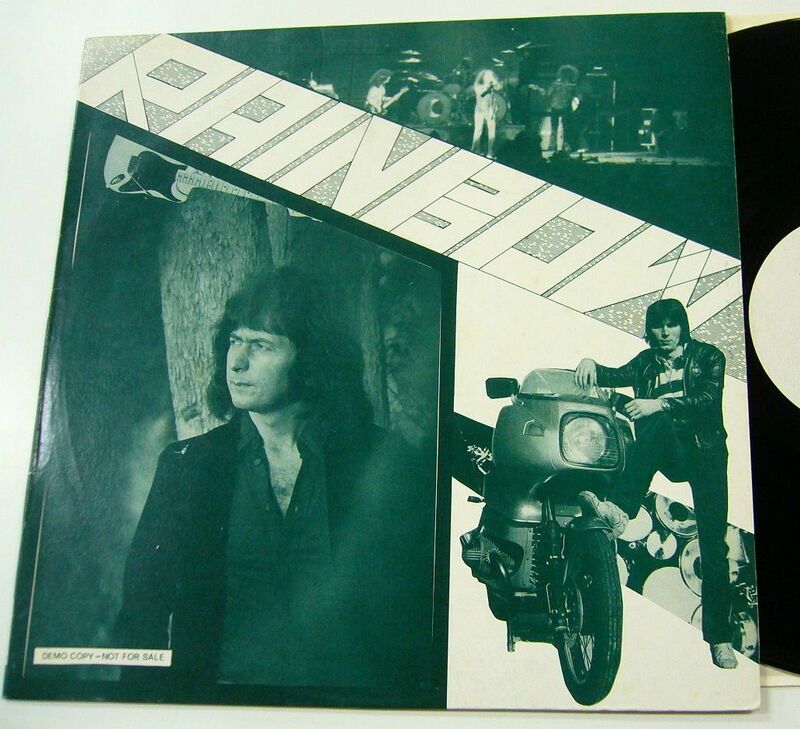 The other two tracks (**) are Cozy Powell solo tracks. Tour poster design for their second German tour. 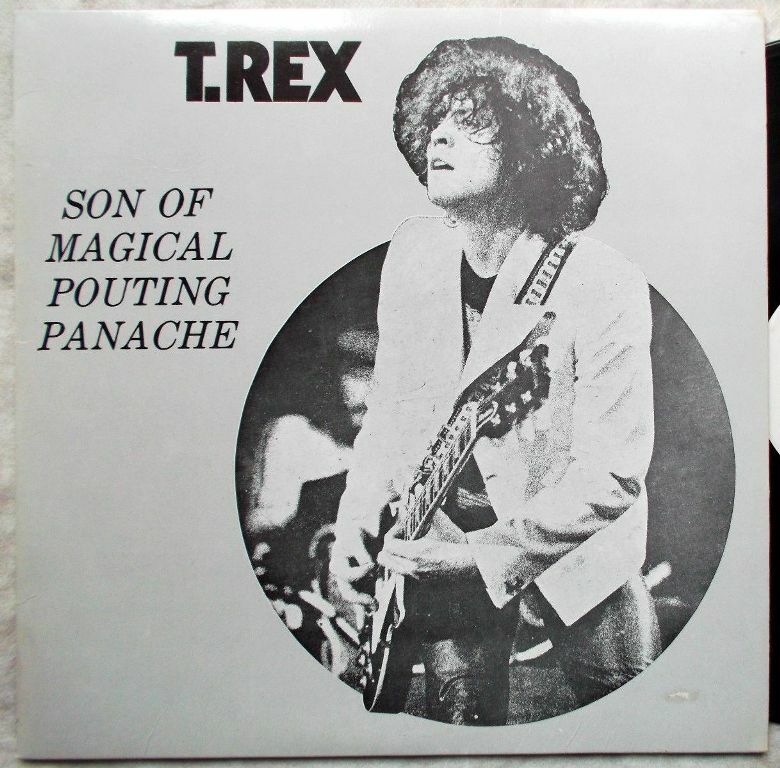 On this blog we have come across Japanese bootleggers naming an LP after an article in the UK music press at that time (see SOUPED UP RORY on Marc and THE STING OF EL FERANTI on the cartoon label) and here we have another example:“SON OF MAGICAL POUTING PANACHE” was the title of an interview by Paul Morley that appeared in the New Musical Express edition dated 19 March 1977. 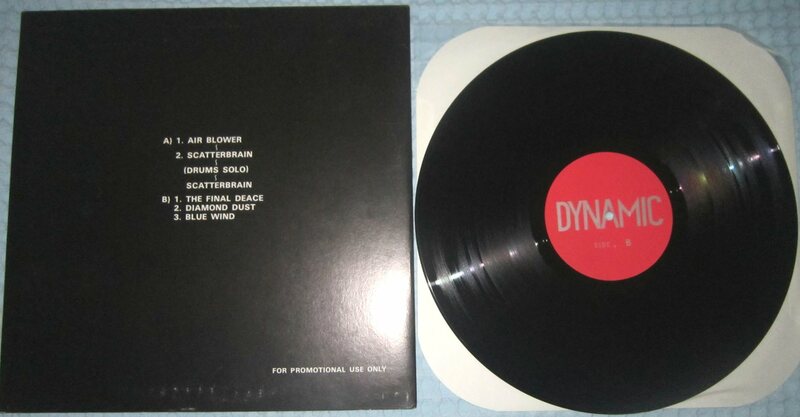 Printed inner sleeves on a bootleg – pretty fancy. 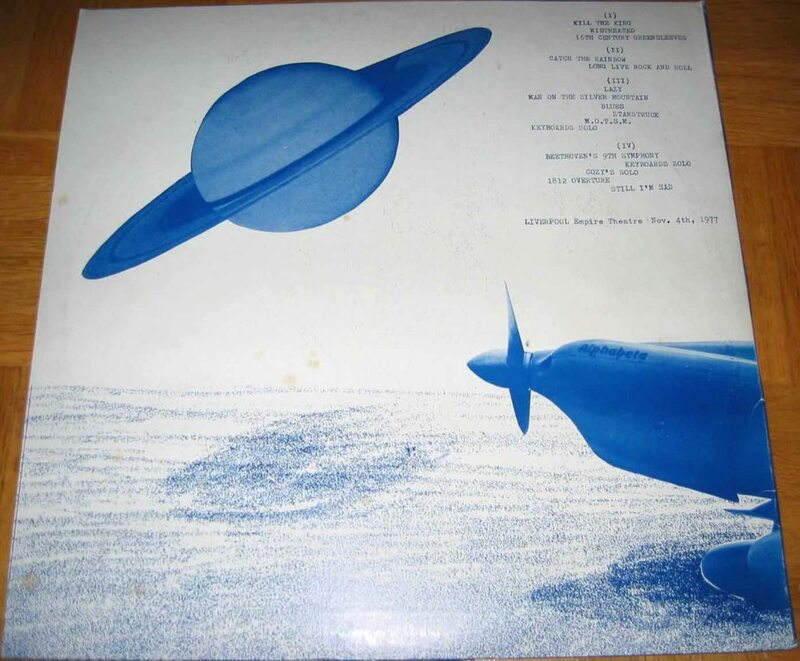 No coincidence that in a culture where presentation is celebrated, we will find this on yet another Japanese vinyl bootleg LP from the late 1970’s – the previous example having been the Bay City Roller’s KA-GA-YA-KE! Japan: 197? 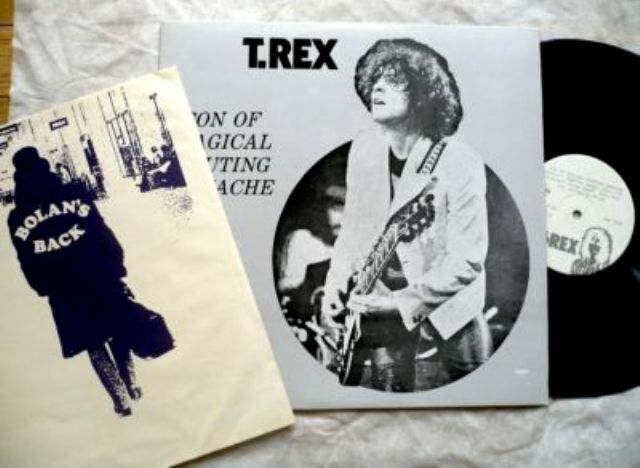 Technically, it would have been possible to have this compilation finished at the time of Marc’s death on 16 September ’77 but perhaps this album was released posthumously or maybe at the start of the 1980’s? 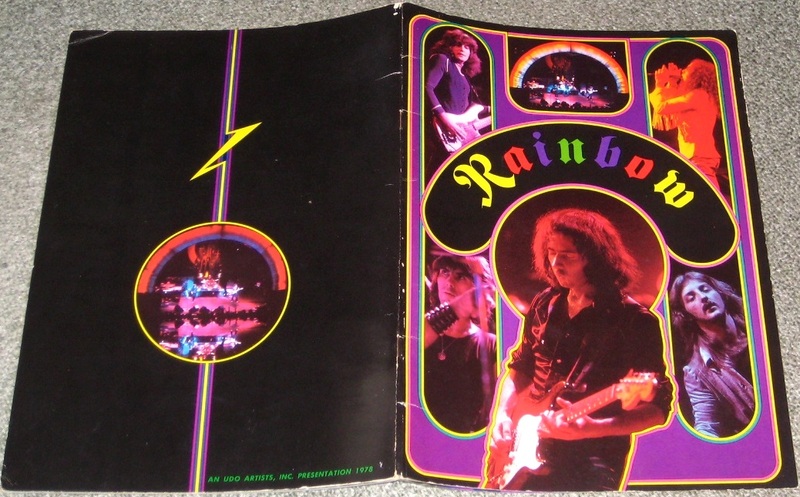 “Although the outer cover shows images from the Dandy period this very rare album mainly features material from 1976 along with four live tracks from the 1977 Rainbow concert and a song from the Manchester concert. 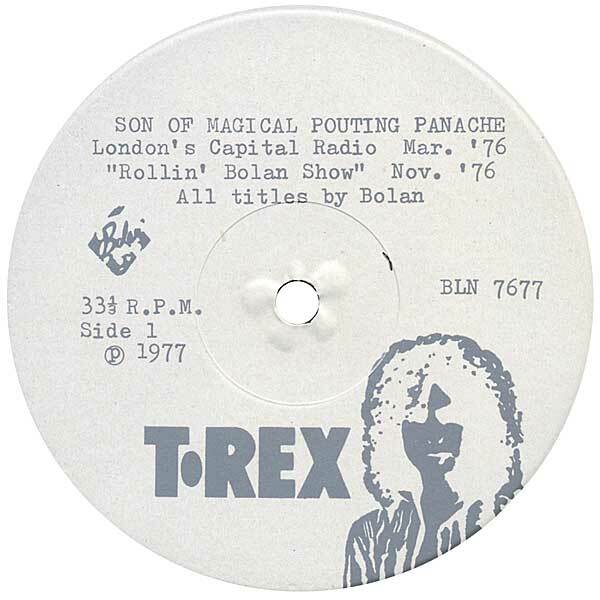 Also featured on the album is the set from the TV special ‘Rollin’ Bolan’ (which was recorded in July 1976 and broadcast in August 1976 though the cover incorrectly states November 1976). 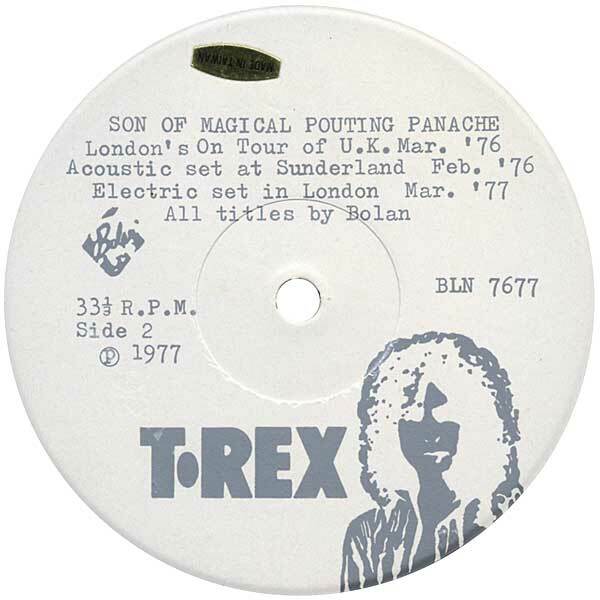 The cover also lists a set of songs from ‘Sunderland Pavillion Hall 8/2/1976’, in fact this was Sunderland Empire Theatre and the songs are from the concert on the 15th February 1976. 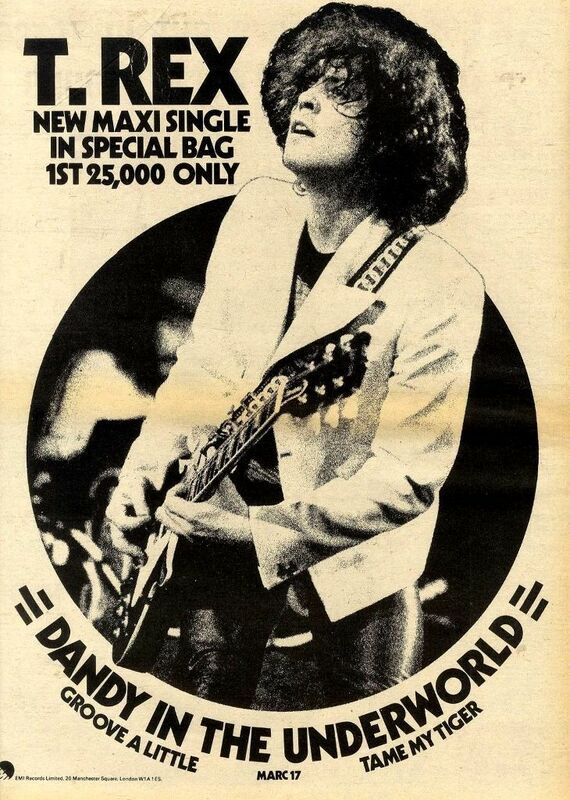 This ad came with an annotation stating “11/6/1977, pg 7”. 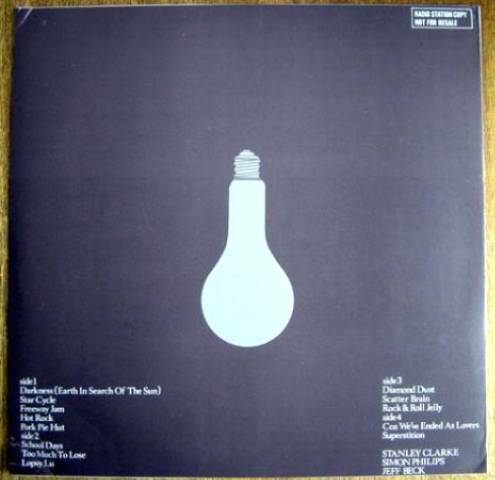 I read this as the European way of the date and the month as June (and I doubt the text would have said the same so shortly after his death), making it less likely that this bootleg was released while Marc was still alive. 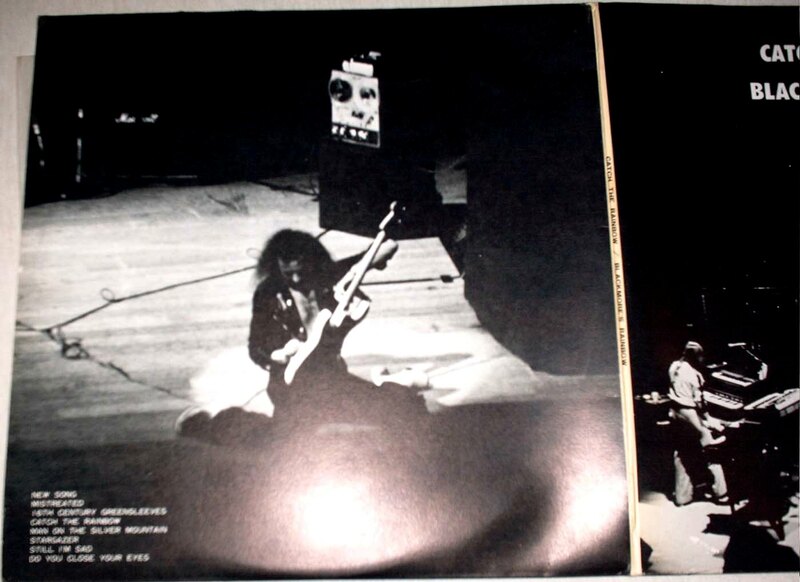 Material from this concert was officially released in 1997 on LIVE 1977 , padded with material from other 1977 and 1974 concerts. 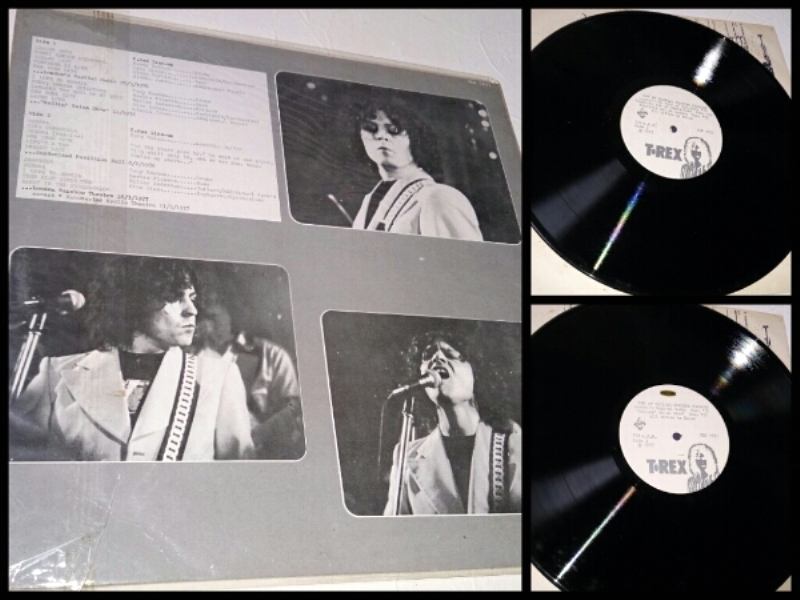 HOTWACKS gave it an “Exm” rating and stated only 200 copies exist (auction sellers claimed only 100). 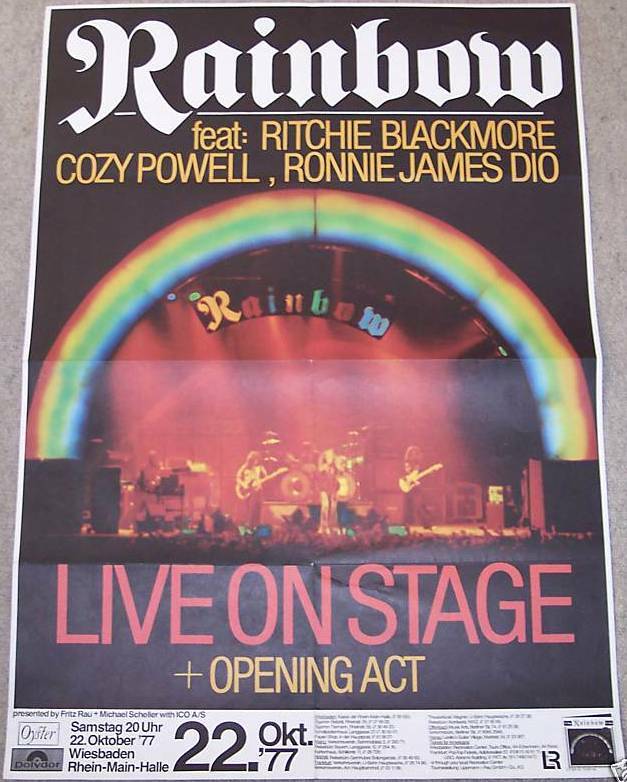 Tapio’s Ronnie James Dio site claims it was produced in Hokkaido, Japan. and recorded at the Osaka concert at the Koseinenkin-Kaikan on the 8th of December. 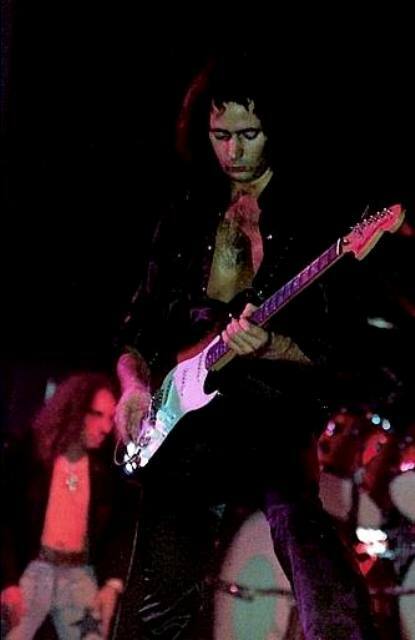 However, ronniejamesdiosite.com states it is a compilation job and recorded at the following concerts, without naming individual tracks: 05 December: Osaka; 09 December 1976: Osaka; 14 December: Hiroshima. 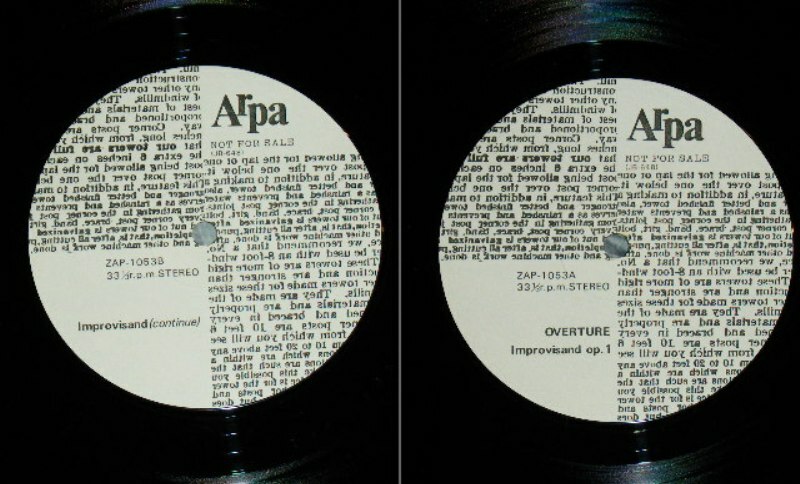 If anyone has a copy, this should be easy to verify as different sources of audience recordings tend to sound noticeably different at the edit points. 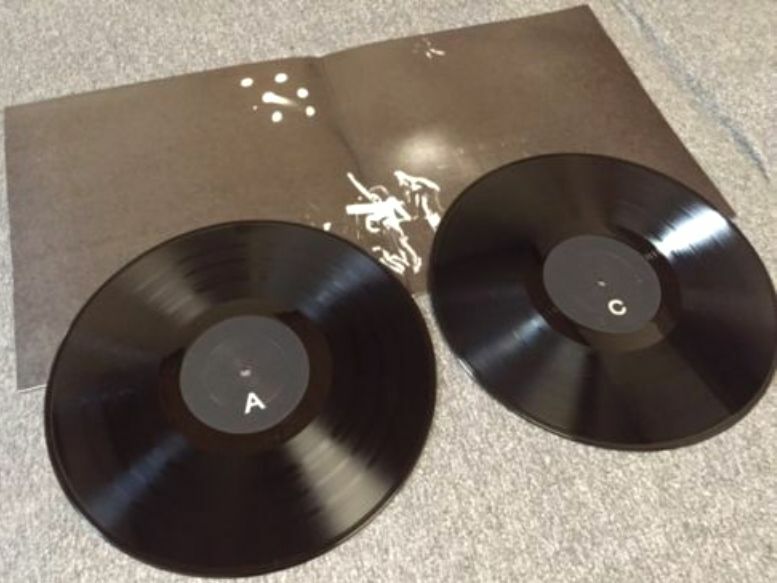 This release reminds me of the black double albums produced from Osaka concerts around this time, which I had previously mentioned in this post. 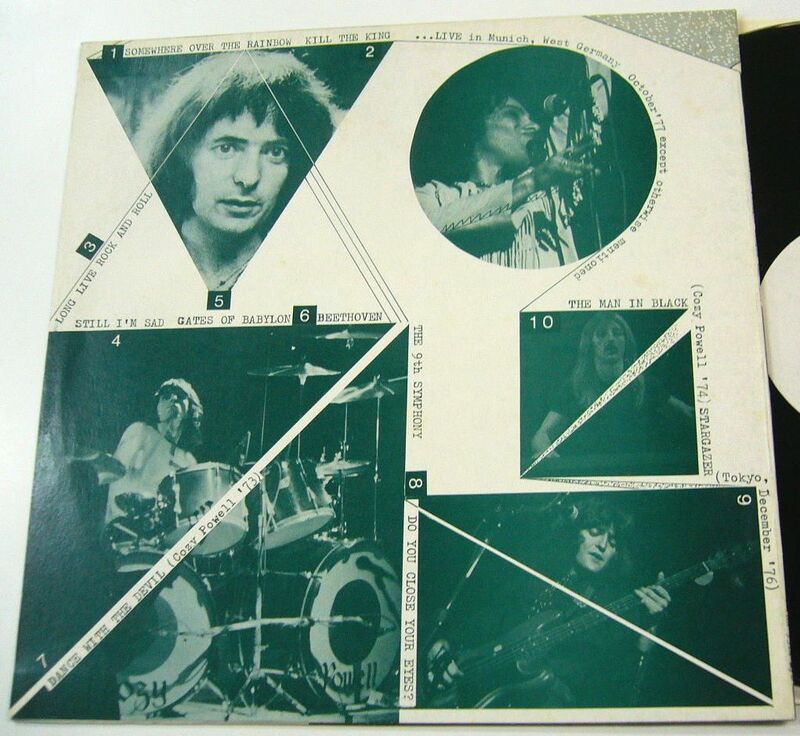 Japan: Most likely released in 1977, although still somewhat rare it has been easier to find than the above double album. 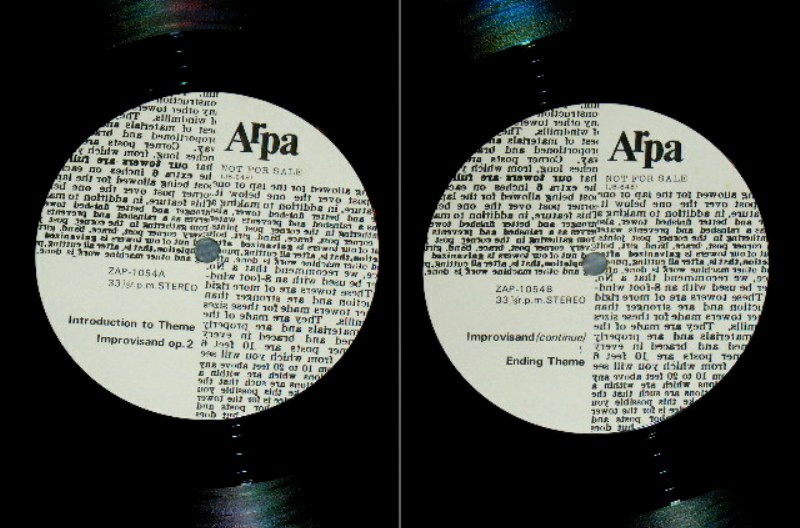 As above, Tapio’s RJD site states all tracks recorded at Koseinenkin-Kaikan on the 8th of December while ronniejamesdiosite.com claims ‘Still I’m Sad’ is from the Osaka concert on the 5th and two tracks come from Osaka on the 8th, leaving two songs unaccounted for. 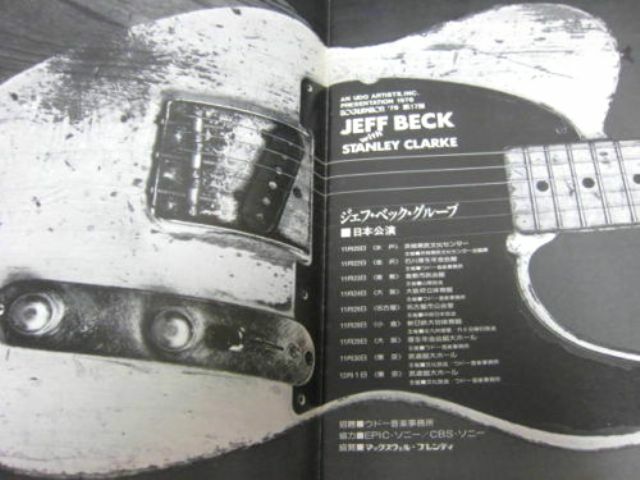 Jeff Beck’s first tour of Japan as a solo artist was part of the “World Rock Festival” in August, 1975. Organized by Yuya Uchida, who was best know for performing as a supporting act for the Beatles in 1966, the event lasted three days (August 3rd in Sapporo, August 5th in Nagoya and August 7th in Tokyo). All three sets were taped. 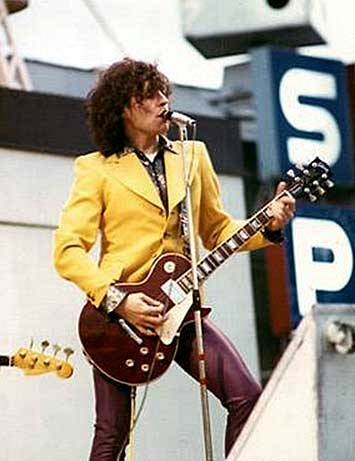 The New York Dolls were also part of the line up, making for an interesting pairing. 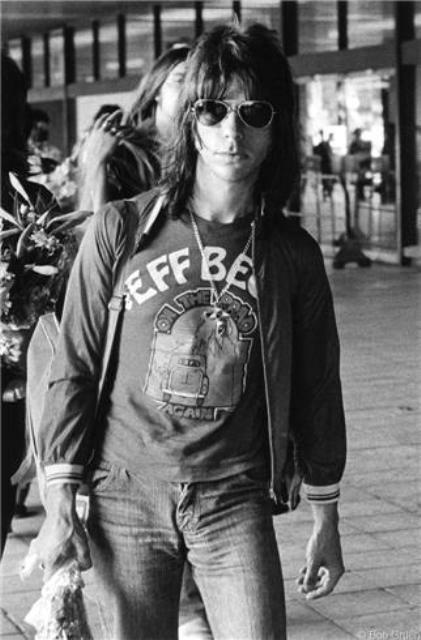 Jeff Beck visited Japan after a lengthy trip around North America in support of Blow By Blow, his most successful album to date. He would play three more shows later in the year before taking a break to record Wired. 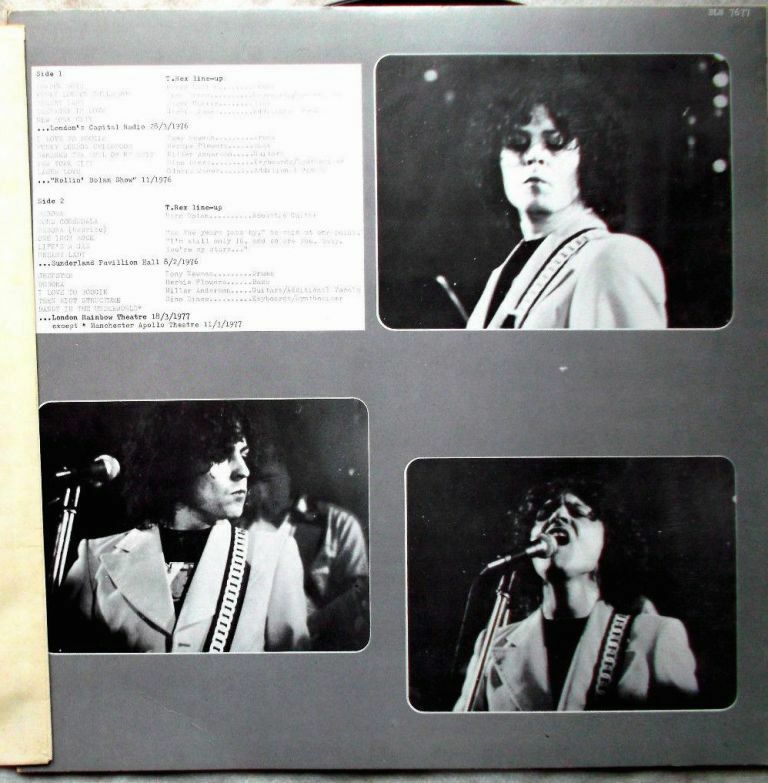 “This is a strange pairing, the proto-punk and glam band with the guitar virtuoso at the beginning of his jazz fusion period. 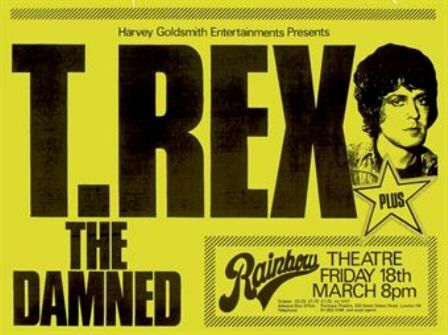 It’s more a celebration of the eclecticism of mid-seventies rock at the event and serves as a good snapshot of the times. 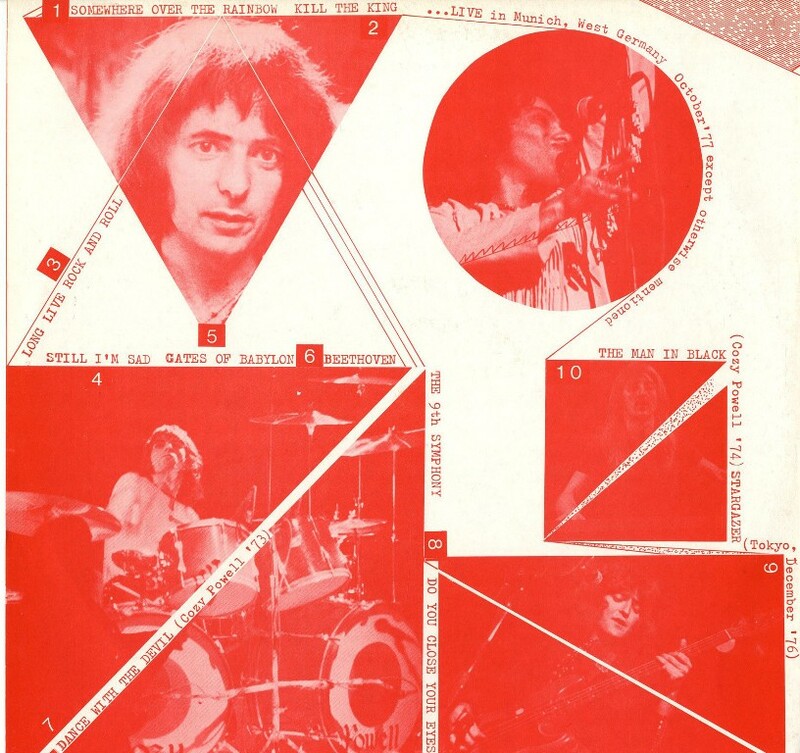 New York Dolls were at at point of transition at this point in their career. 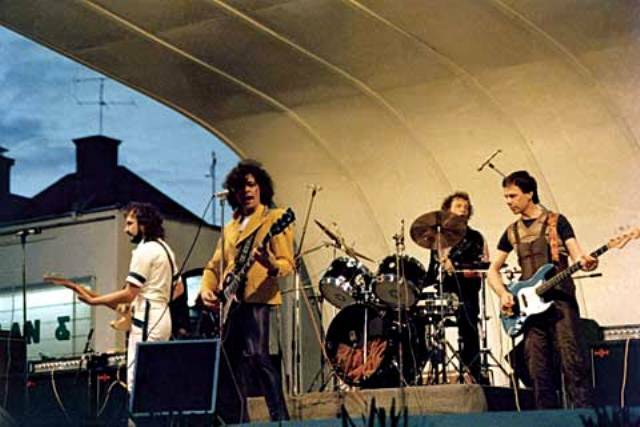 Founding members Johnny Thunders and Jerry Nolan left the band while on tour in Florida in April. 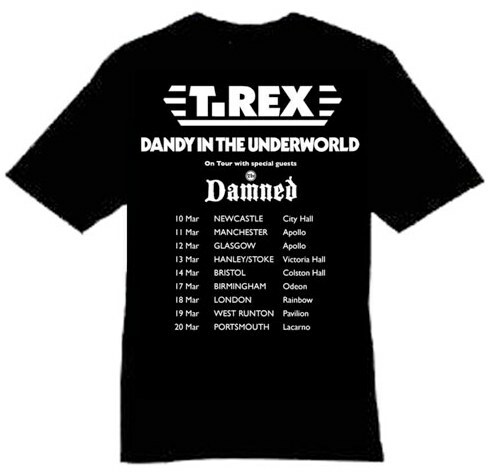 The remaining members, David Johansen, Sylvain Sylvain and Peter Jordan were joined by keyboardist Chris Robison and their tour manager Tony Machine on drums for the trip to Japan. 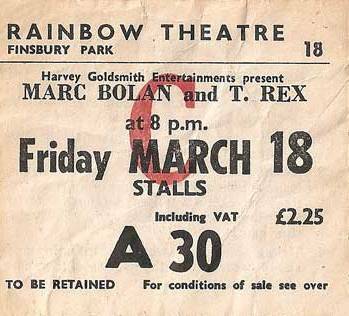 They were also released from their contract to Mercury Records during this tour. 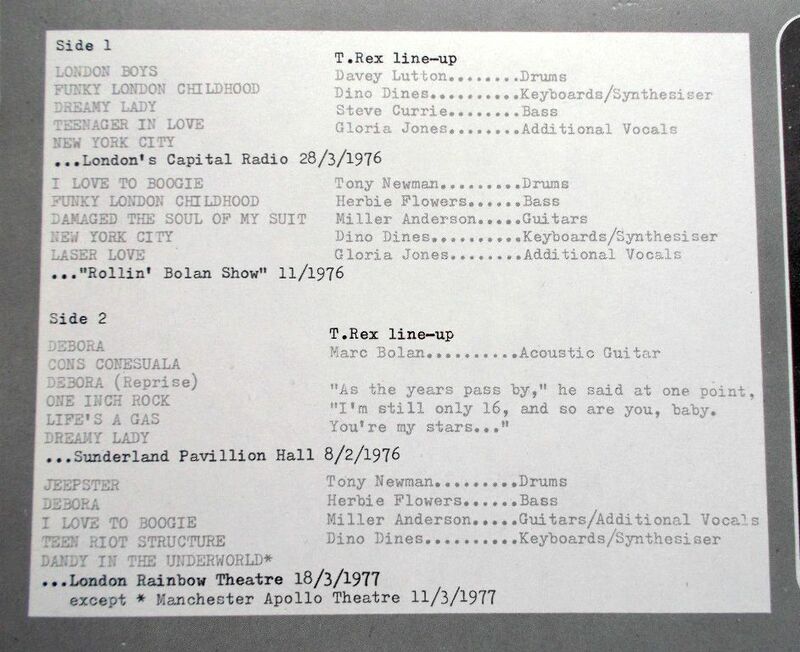 Their set on August 7th in Tokyo was recorded and released on the Tokyo Dolls – Live album with a set list quite similar to this show. They start off with “Looking For A Kiss” and “Daddy Rolling Stone” to please the crowd. “Stranded In The Jungle” is one of the show’s highlights. “Frankenstein” begins with a recitation of a poem in Japanese before a radically reworked arrangement of the song from their first album. The set ends with “Teenage News” and a thunderous applause from the audience. 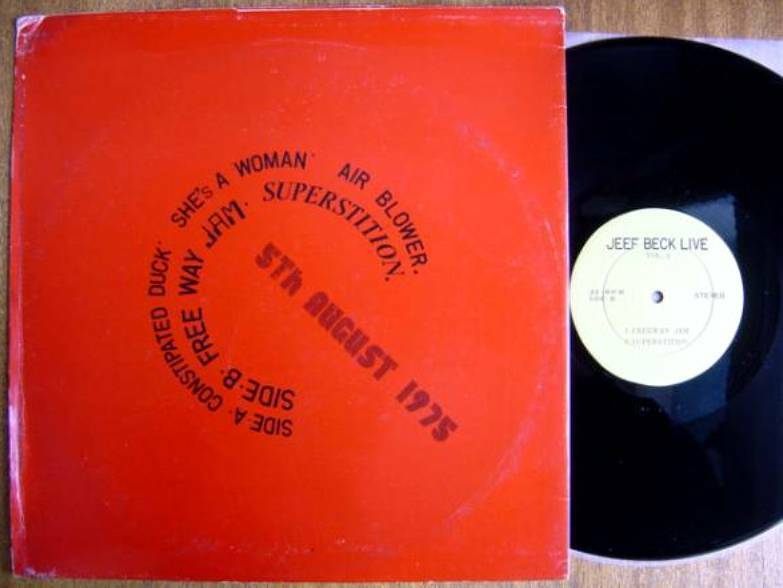 There is an emphasis upon the faster numbers in the first half beginning with “Constipated Duck” (the only original composition), the clever Beatles cover “She’s A Woman” and “Freeway Jam” preserving its jazz roots. The largest applause is reserved for the Stevie Wonder cover “Superstition” in which Beck plays through the voice box to startling effect. “Air Blower” is another heavy excursion where Beck makes his guitar sing in the middle improvisation. 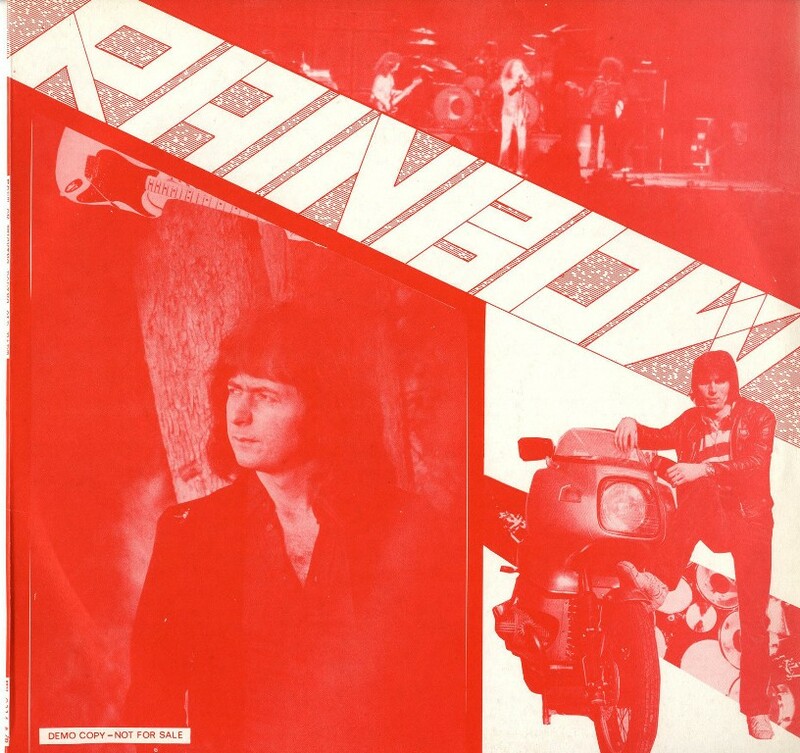 Max Middleton plays a short keyboard solo before the slower paced “Cause We’ve Ended As Lovers.” Bassist Wilber Bascomb starts off “Power” with the heavy funk beat, leading the band into a number that adroitly mixes funk with seventies metal. 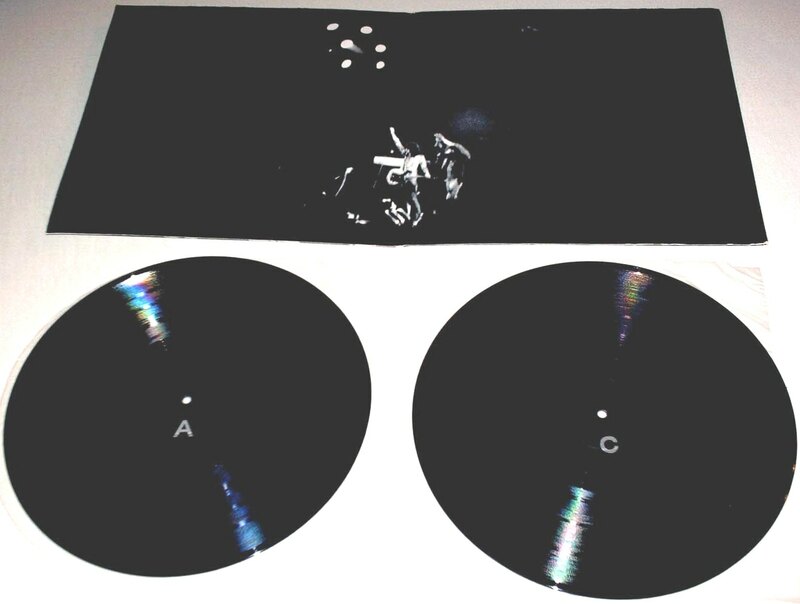 This copy sold for $200 in January of 2016. Japan: ? 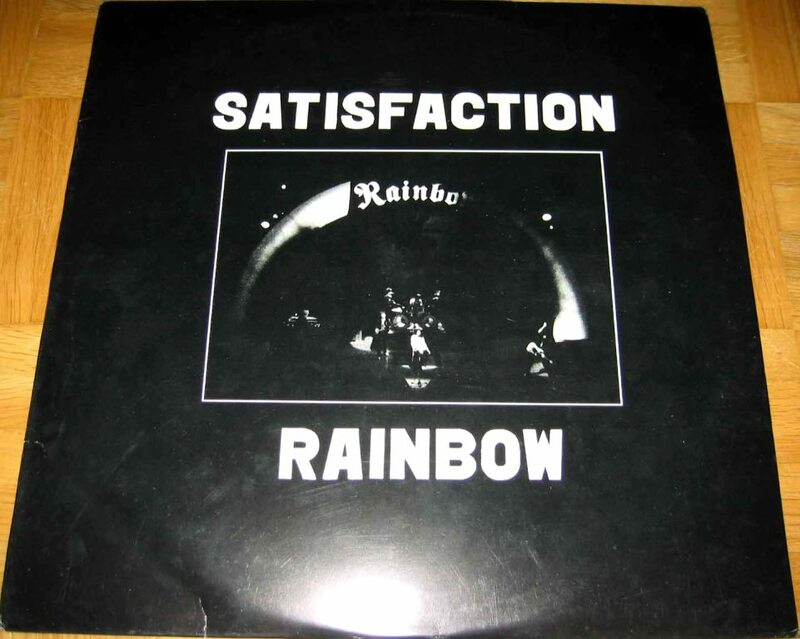 (1976-78 would be my guess) I would not be surprised if there was a connection to another supposedly ‘Made on Hokkaido’ bootleg: Rainbow’s 1977 Catch The Rainbow, which I had previously shown here. 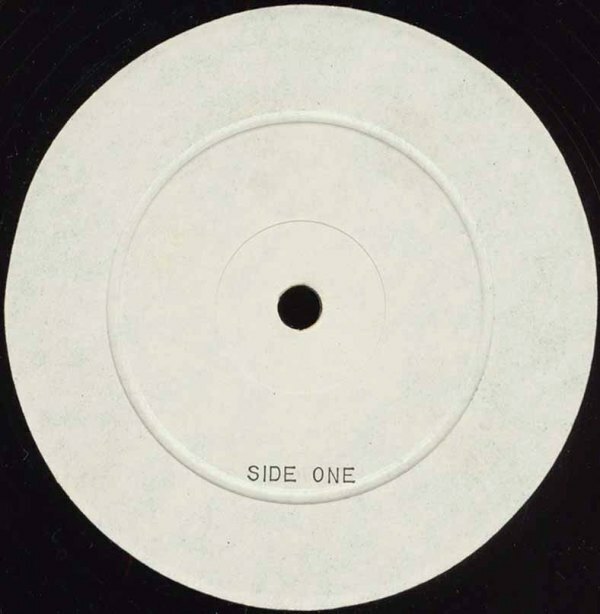 Apparently a total length of 45:53 but side 1 is only 17 minutes long. 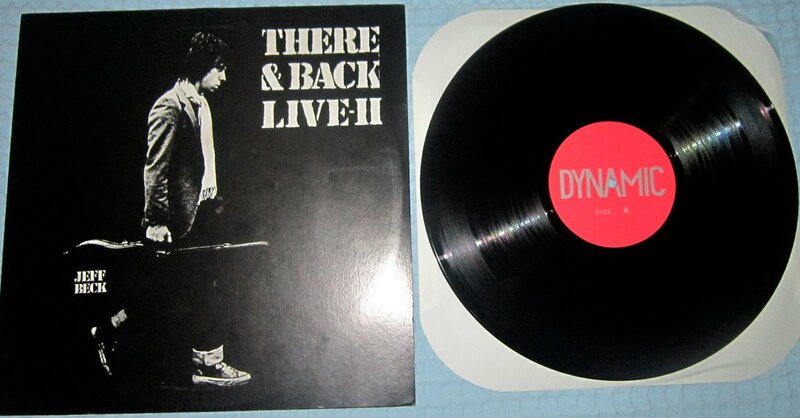 Reissued on CD just last year due its great quality. It seems that the master tape is unavailable or lost.